Resident Advisor - RA Japan - yellow on grey. Resident Advisor. 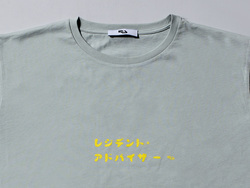 Yellow "Resident Advisor" text in Japanese and mini-logo on front.